After a hard-fought battle, Los Angeles native DJ R-Tistic was crowned champion of the 2014 Flavor Battle. In its fifth year, the competition brought out some of the biggest up-and-coming DJs in the industry. Twelve DJs, hand-picked by McDonald’s and Complex Media, competed for the chance to win the $10,000 grand prize. DJ R-Tistic, along with DJ Niena Drake of Chicago, and DJ Erika B of Newport News, Va, used masterful mixes to rise above the fray and impress online voters to advance through three rounds of elimination. Legendary DJ Funkmaster Flex hosted the final showdown while celebrity judges DJ Clue, Just Blaze, Spinderella and 2013 Flavor Battle champion, DeeJay Element selected the 2014 champion. 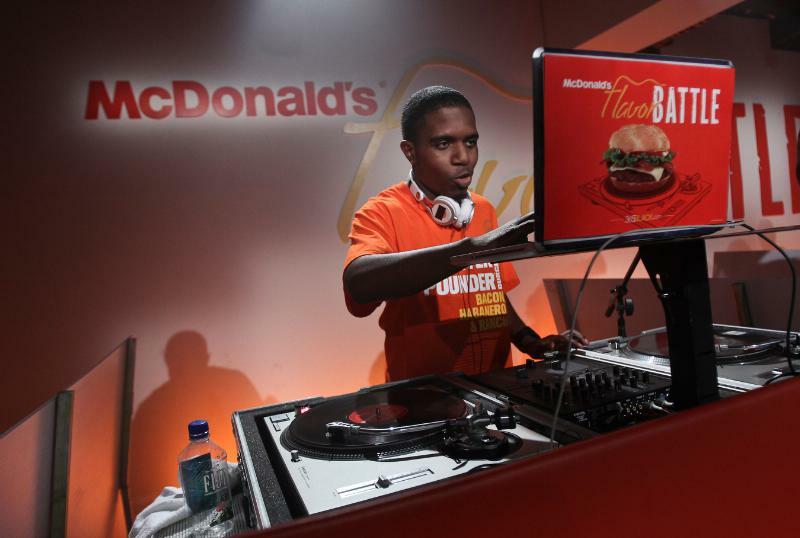 “Winning McDonald’s Flavor Battle is the greatest accomplishment I have made as a DJ thus far,” says DJ R-Tistic. Watch this video of the Flavor Battle finale to see DJ R-Tistic and the other finalists flex their skills.